was covered on Fox News…just now made the front page of Yahoo! News no less. as far as i know you were the first to cover this, correct? 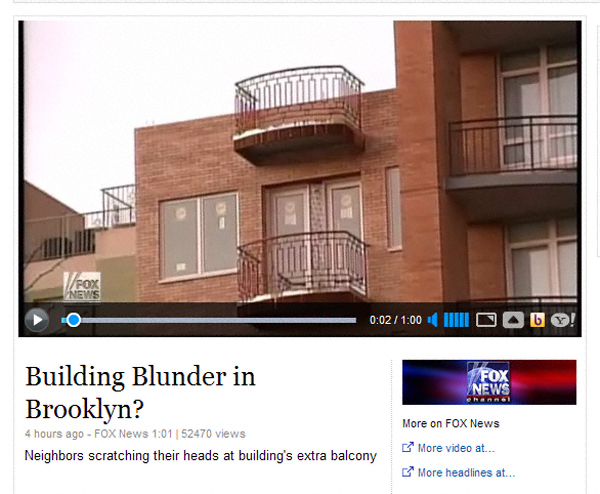 nice to see there are some fans of your blog @ Fox News, and that you’re doing their work for them. Indeed. I take it was a slow news day, Rupert? 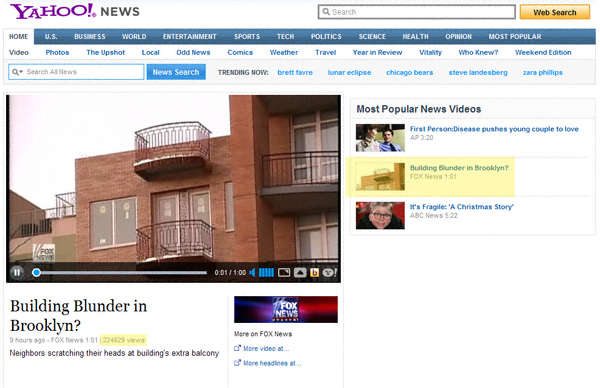 UPDATE, December 21, 2010 7:57 p.m.: it would appear Fox News’s video is quite popular. 224,629 319,610 539,111 page views and counting. Impressive. Where’s my cut of the revenue you undoubtedly gained as a result of this, my work, Fox News? Yahoo? Anyone?